The October 2012 issue of New Horizons, the denominational magazine of the Orthodox Presbyterian Church devotes its issue to various articles related to the history of Presbyterianism. 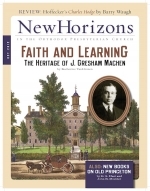 In addition to articles about Charles Hodge and Geerhardus Vos, there is an article entitled “Faith and Learning: the Heritage of J. Gresham Machen” by Katherine VanDrunen. 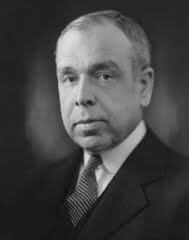 VanDrunen wrote her PhD dissertation at Loyola at Chicago about Machen’s familial ancestors and draws upon that to provide a fascinating look at the education and biblical instruction Machen received from his formative years through his graduating first in his class at John Hopkins.